When it comes to wild camping, you are going to need to find yourself some wild drinking water. The first important question is where do you find it? 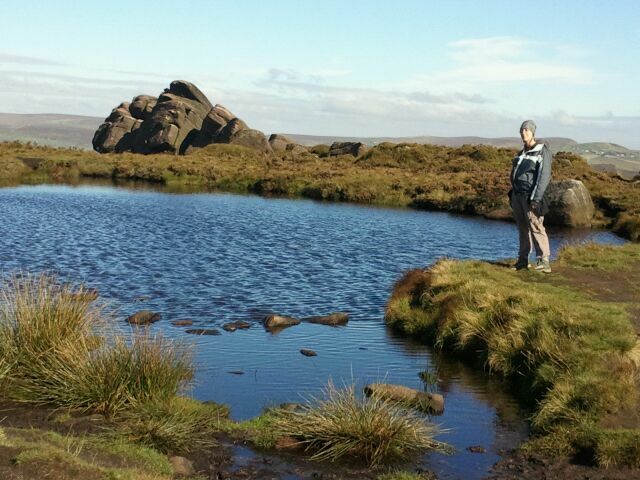 Before you go it is a good idea to plan your route around streams that are marked on your OS map to make sure that you should be able to find enough to keep you going. One thing to note though is that they may be harder to find than you expect and if it has been very dry recently you may not be able to find them at all, so always have a backup plan. Alternatively you could be lucky like we were on our trip in Snowdonia where there had been so much rain that there were plenty of streams around. Always make sure that the source of water you choose is running water, as stagnant water is more likely to contain algae, bacteria and dead fish or animals. However after that there are a number of options. Many walkers particularly of older generations will swear by just drinking the water straight from the stream. They will say it is the best tasting water they have ever had and that they have never been ill in over 40 years of drinking it. 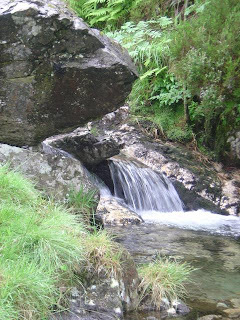 We even met one guy who said when he was a child in Snowdonia they got all their water from streams and they’d drink it until one day it would have a funny colour, taste or smell at which point they’d go further upstream and find a dead sheep in it. But they still didn’t get ill. However, there are many bugs about including relatively new ones such as ecoli which wasn’t present in streams back then. So it is up to you whether you drink the water and take the risk or play it safe and look at other options. Boiling water will eradicate the majority of parasites in water (though not all). The main drawbacks are that the water is needs time to cool down before it can be drunk and potentially before you can store it depending on the type of container. Also you will be using up fuel in the boiling process. However where you need hot water e.g. tea and coffee or cooking, this is a reasonable option. This is the option we chose for our wild camping trip. 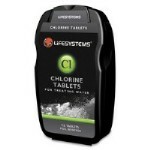 Chlorine tablets can be bought very cheaply from outdoor stores (GoOutdoors 75 tablets for £4.50). 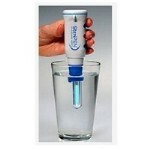 Filter the water first with a fabric filter and then add 1 tablet to a litre of drinking water. Leave to work for 30 minutes and your water is safe to drink. Drawbacks are that the water does have a chlorinated taste which will bother some people and others won’t mind at all. Initially I wasn’t keen on the taste but did get used to it very quickly and soon barely noticed it. However you can also buy neutralising tablets to take away the taste and Lifesystems produce a pack that contains both. Also as with boiling it is not a quick method. SteriPEN uses UV light to kill 99.9% of all bacteria. It works best in clear water as sediment blocks the light. The latest model is around the size of an electric toothbrush and you simply stick it in your water, push the button and in seconds it purifies your water. The only downside is that this is probably the most expensive option unless you are a hardened wild camper in which case over time it would pay for itself. There are many filtration systems available, we’ve not used one as yet so if anyone has any recommendations let us know. Traditionally these used a pump system with tubes but more recent inventions have been smaller and simpler. Go Outdoors have the Aquamira Frontier Pro Filter which rather than treating volumes of water attaches to your water bottle and filters water as you drink it. 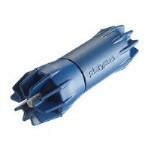 This means it is a small, lightweight and easy to use system. I’ve seen a number of walkerson forums mention Katadyn products. They have a range from a bottle and filter similar to the Aquamira right up to a £200 pocket filter use by aid organisations which comes with a 20 year warranty!. Overall there a number of options available to you based on your personal preference, budget and the amount of wild camping you intend to do. The key thing is to keep an eye out for water on your walk and fill up at each opportunity to make sure you don’t run out.